I can't help but think that the scathing attacks on Dominic Chappell, whether justified or not (and I am certainly not saying that they aren't, either in whole or in part) are simply attempting to mask (or at least deflect) the duties of the wider board of directors, when looking at the collapse of the British retailer BHS. Let's look at this from a legal perspective for a second. BHS has a board of directors. Those directors - all of them - are responsible for complying with their directors duties under Chapter 2 of Part 10 of the Companies Act 2006 (which are not worth repeating here, but which are (somewhat crudely) all those duties that you might commonly expect a person who is a director of a company to be subject to (e.g. duty to promote the success of the company, duty to exercise reasonable care, skill and judgement, etc)). On top of this, all of the directors are, again, subject to the same common law rules and other equitable principles relating to their appointment as directors. So in light of the above, and given some of the quotes and accusations that have been made at the time of writing (a small proportion of which I've copied below), shouldn't there be more focus on the actions of the board of directors as a whole? 2. Darren Topp, the ex-chief exec of BHS, has also questioned Mr Chappell's abilities and going as far as to accusing Mr Chappell of threatening to kill him when he questioned him about moving £1.5m to an unrelated company that shared the BHS moniker. 3.The BBC also state that "Managers said that the owners had not raised sufficient funds to keep the business going. In addition, Retail Acquisitions "did not give confidence" to credit insurers and suppliers, nine managers said in a strongly worded letter to staff." Retail Acquisitions purchased BHS in 2015. During the period from the date of the acquisition to the date that BHS was put into administration, if the directors had concerns, either regarding Mr Chappell, Retail Acquisitions or more generally regarding the deteriorating financial position of BHS then, in accordance with their duties, they should have, arguably, firmly acted upon them. Whilst it cannot yet be said that they did not try to act on all such concerns, what does appear to me to be the case at this stage, particularly in light of the allegations that are now being made, is that they did not actually act on all such concerns. This, in my opinion, leads to the bigger questions of whether the entire board of directors complied with some, or all, of their duties as directors and whether the wider board should be held just as accountable for the collapse of BHS as Mr Chappell. 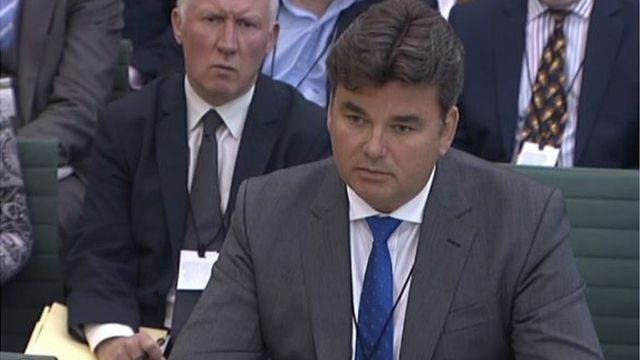 BHS hearing: Owner Chapell says Sir Philip Green 'went absolutely insane' The former owner of BHS, Dominic Chappell, has been accused of being "a liar" who had his "fingers in the till" by top BHS managers.The claims were made to MPs at a hearing into the collapse of the firm.In a scathing attack, the ex-chief executive of BHS, Darren Topp, alleged Mr Chappell threatened to kill him in a row over company money.Mr Chappell, whose Retail Acquisitions bought BHS for £1, is currently giving his side of the story. BBC News - BHS: Former executives savage 'liar' Dominic Chappell https://t.co/ulcEy5iRfS Gosh! This is unpretty language flying around.